Safeway Steel Buildings offers a huge array of window options available. Safeway Steel Buildings can also provide custom designed windows upon request. For more information regarding our vast library of window options please call our building designers today at 1-800-818-2245. Safeway Steel Buildings understands the need to offer a variety of Doors for your building project. That is why we offer a huge range of models available to suit your needs. Safeway Steel Buildings can also provide custom designed doors such as store front doors upon request. 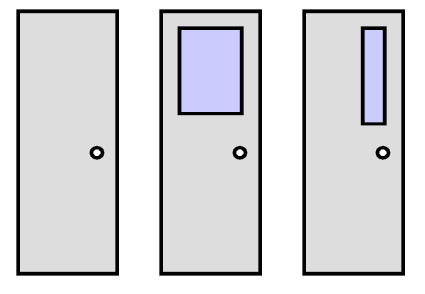 For more information regarding our door options please call our building designers today at 1-800-818-2245. Dektite are ideal for metal, slate or tiled roofs and can withstand UV degradation. Dektite flashings can be used on high temperature outlets such as flues and chimneys as the specially formulated EPDM flashing can withstand constant temperatures at the roofline from -50ºC to 115ºC and up to 150ºC intermittently without degradation. The silicone Dektite (red colour) can withstand constant temperatures at the roofline of 200ºC and up to 250ºC intermittently. Independent laboratory tests show that the specially formulated EPDM and silicone used in making Dektite flashings will withstand UV degradation in extremely harsh environments for periods longer than the 20-year warranty period. Dektites can be used in cyclonic areas with additional fittings. In todays modern buildings Safeway Steel Buildings is all about conserving where we can to help reduce our impact on the environment. That is why we offer Translucent Panels that let in natural light aka Wall Lights and Roof lights. These panels are semi transparent which allow your building to be naturally lit by the sun. These panels are perfect for letting in natural light allowing you to save money over time. A louver is a ventilation panel that allows air to pass through it while keeping out unwanted elements such as water, dirt, and debris out. Free area is derived by taking the total open area of a louver (after subtracting all obstructions – blades and frame) and dividing by the overall wall opening. 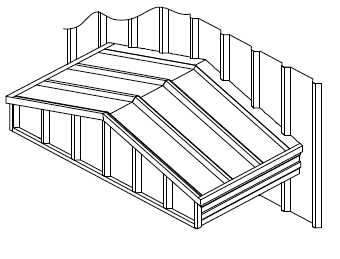 This gives a comparison of a louvered opening to an unobstructed opening. Common louver free areas range from 35% to 60% of the wall opening. A free area is beneficial because more air can enter into a smaller wall opening, reducing the cost of the wall opening and louver.